A list of January gardening chores may sound like a misnomer since the month of January can mean virtually no outdoor gardening for gardeners in snowy climates. Getting trees and shrubs dormant pruned and ready for new growth is almost the only outdoor chore for cold climate gardeners. However, on the other end of the spectrum, gardeners in warm, frost-free zones are enjoying their cool rainy season. These areas should be taking advantage of the sunny, wet months of winter to indulge in sweet peas and salad greens. Wherever you garden, one garden chore shared across zones is pouring over the garden catalogs that start arriving just before Christmas. In January, you have the time to really give them a careful look and start to place orders that will deliver those grand visions of your new, improved garden that always simmer in our heads during winter. This may be the most dangerous garden chore because it's so hard to resist ordering just one more packet of seeds or the perfect container for the patio. Whether you're staying warm indoors and gardening vicariously through books and catalogs or you're outside getting things in order, here are a few January regional gardening tips to help you get through winter. Get your catalog orders ready. Be sure to check what seeds you already have. You will probably need to edit your list a few times since we all tend to order more than we have room to plant. Check to see if your local garden centers have their seed racks up and ready to shop. They often trigger new ideas. Review the photos you took of last season's garden and rework your garden design. Pay special attention to areas that need more color or structure. Review last year's garden journal and start a new one for this year by recording your seed/plant orders. Check your stored bulbs and veggies and discard any that are showing signs of rot. Mist them lightly if they seem to be drying out. Check outdoor plants for heaving. Mulch any plant crowns that have been pushed above ground. Recycle your Christmas tree as garden mulch or a bird feeder. Feed the birds and provide them with some unfrozen water. While you're at it, toss out some corn or peanuts for the squirrels, too. Take a gardening class. Check with your local cooperative extension or botanical garden. Check for any gardening shows in your area. Do some winter sowing to get a head start on both vegetables and flowers that need stratification. Zones 7 and up can start seeds indoors of slow-growing cool season vegetables like cauliflower and leeks and annual flowers like ageratum, geranium, nicotiana, petunias, portulaca, snapdragons and verbena. Check outdoor plants for animal damage. Protect them with some type of covering such as wire fencing or burlap. Check houseplants for indoor pests. Move any affected plants away from other houseplants and treat immediately. Weather permitting, start dormant pruning of trees and shrubs. Check mulch levels. If needed, add more to beds and paths for weed suppression. Protect tender plants with some type of row cover, when cold nights are predicted. Plant bare-root roses & fruit trees. Be sure to keep them well watered, if there is no regular rain. Finish pruning trees, perennials, and roses. Prune fruit trees before they start to bud. 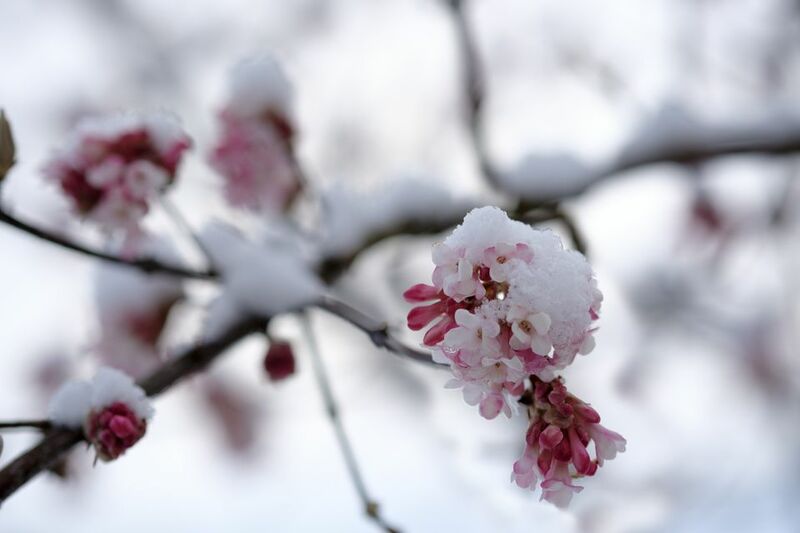 Treat fruit trees susceptible to over-wintering pests with an organic dormant spray. Plant trees, perennials, bare-root roses, and cool-season vegetables and keep well watered. Start seeds of cool season crops like broccoli, cabbage, cooking greens, onions, peas, and turnips to transplant next month. Direct sow cool season vegetables such as carrots, greens & peas at the end of the month. Prune and train grape vines. Set out transplants of cool-season flowers like pansies, petunia, snapdragon, sweet pea, and violas. Keep watering evergreens, if there's not regular rain. Take advantage of the cool spell with some quick growing peas, radishes, and spinach. Seed slow growing vegetables like eggplant, peppers, and chiles. Prune raspberry canes to the ground, once they finish fruiting. Prune roses while they are dormant. Can You Plant Any Flowers or Vegetables in January?